Dr. Mechanic-Hamilton joined the Penn Memory Center in 2012. She is an assistant professor in the Department of Neurology and director of Cognitive Fitness Programs and Neuropsychological Services at the Penn Memory Center. She earned her PhD in clinical psychology with a concentration in neuropsychology from Drexel University. She completed her internship at Brown University and postdoctoral fellowship in clinical neuropsychology at the University of Pennsylvania. Dr. Mechanic-Hamilton’s research and clinical work focuses on neuropsychological assessment and cognitive and behavioral intervention in patients with cognitive impairment. 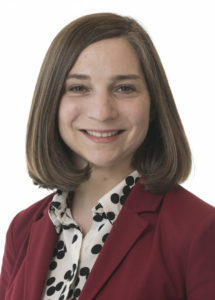 She is involved in ongoing clinical trials at the Penn Memory Center, is a collaborator on multidisciplinary research projects, and supervises trainees from clinical psychology doctoral programs in the Philadelphia region.